Paper plate crafts are so much fun! We’ve made paper plate roses and other paper plate crafts with kids. But this time, we were inspired by imagination. 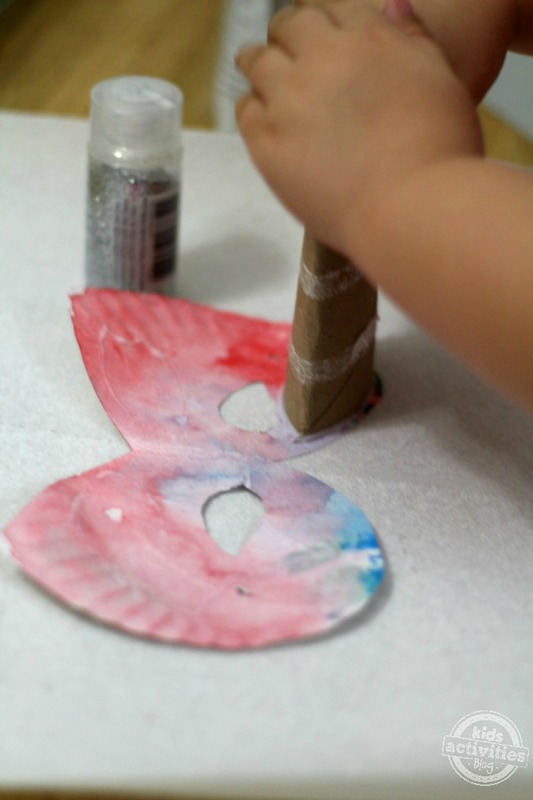 Since my three-year-old pretends to be a fairy or a superhero almost every day, we crafted these quick and easy paper plate masks to help look the part! I love paper plate crafts for kids. I particularly love making masks with them. We’ve made masks out of thinner paper before, but they rip easily. Since we don’t want to risk revealing anyone’s identity (wink, wink), we use paper plates! Start by cutting out the shape. We tried a full mask, but my preschooler did not like the way that it felt, so we shortened it to a half mask. There’s nothing better than seeing a child’s face light up over something that they have created. 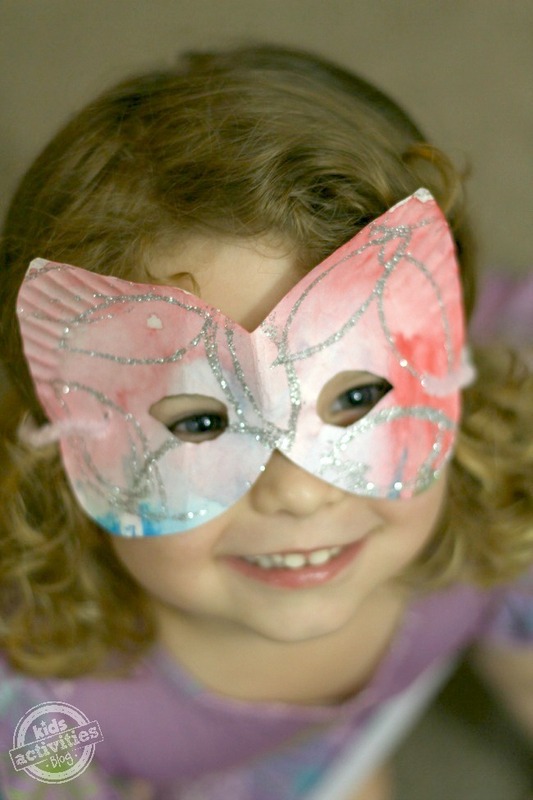 My superhero had “to fly” the second she put on her mask. Isn’t it amazing how a paper plate can spark creativity? You might also enjoy these paper plate crafts to spark creativity in your house. Katie is a happy-at-home Mom who writes over at Happilyevermom. She has a feisty 4-year-old and an active 1-year-old. When she's not busy saving her cats from the kids and trying to figure out what's for dinner, she can be found crafting and playing the day away with her family. You can find her on her FB page, twitter @Happilyevermom, & Google +, too. Great idea! 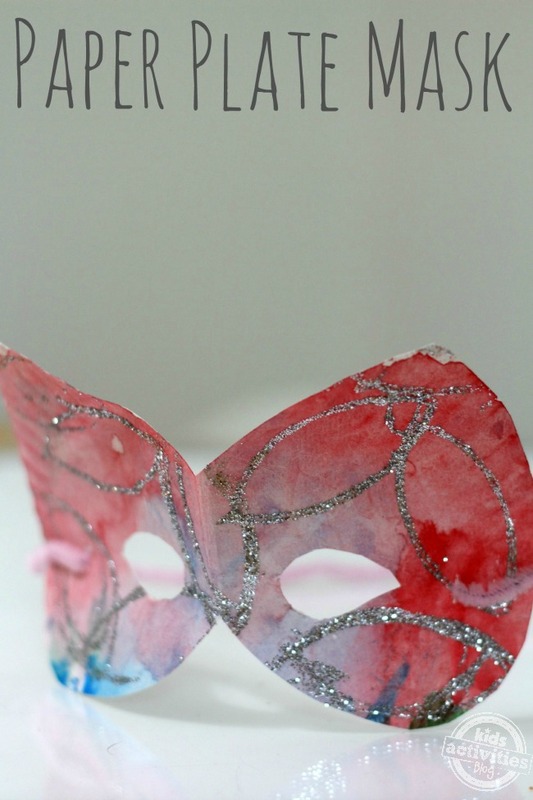 I have used paper plates to make tons of crafts, but I don’t think I have ever made a mask with them. My kids will LOVE doing this! I wanted to tell you we tried something like this once, but ours were no where near as cute as the masks you made! Thank you for stopping by the Thoughtful Spot Weekly Blog Hop last week. We hope to see you drop by our neck of the woods next week! Oh my gosh, so cute, I am totes gonna do this with my friends. 5 Earth Day Treats Kids will Love!